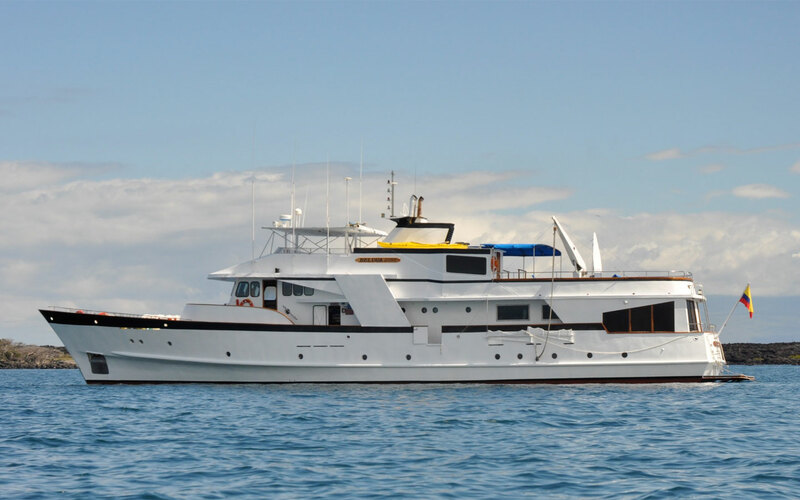 The Beluga is a steel-hulled Superior First Class motor yacht, fully air-conditioned, very spacious and comfortable with panoramic windows in the salon/ dining area and great deck space, Enjoy your time on board or relax in the shade of the top deck while cruising between the islands in speed and style. 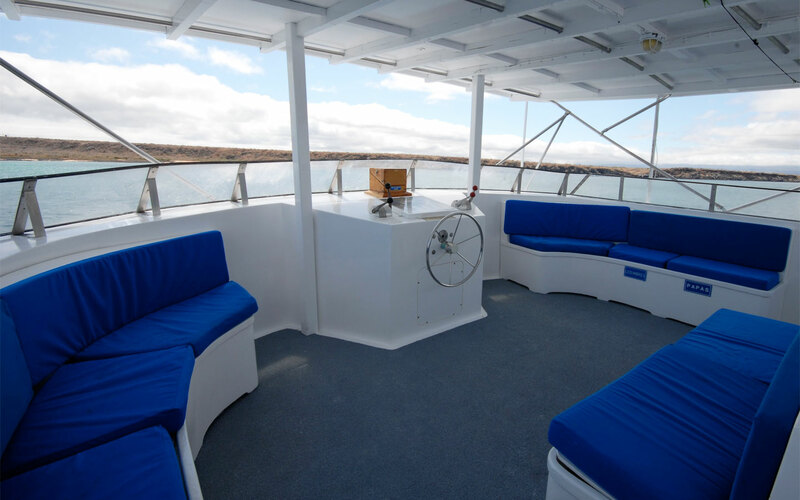 Features the most modern safety systems and accommodates 16 passengers in 8 double cabins. 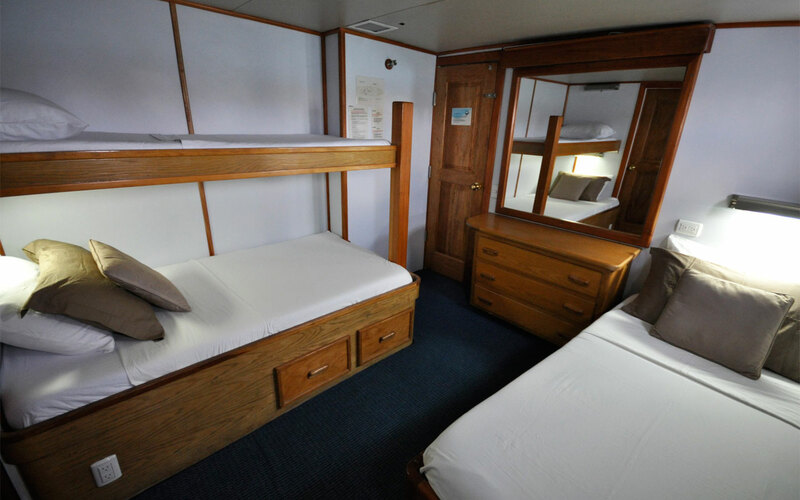 Each cabin has their own private bathroom equipped with hot & cold water showers. 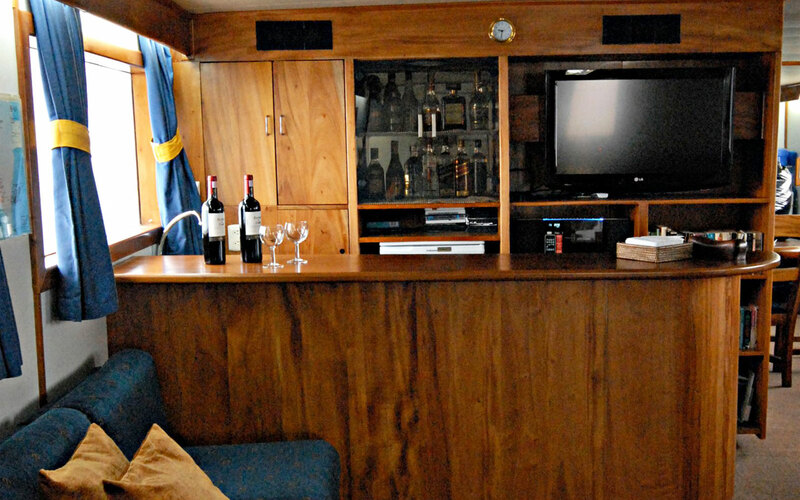 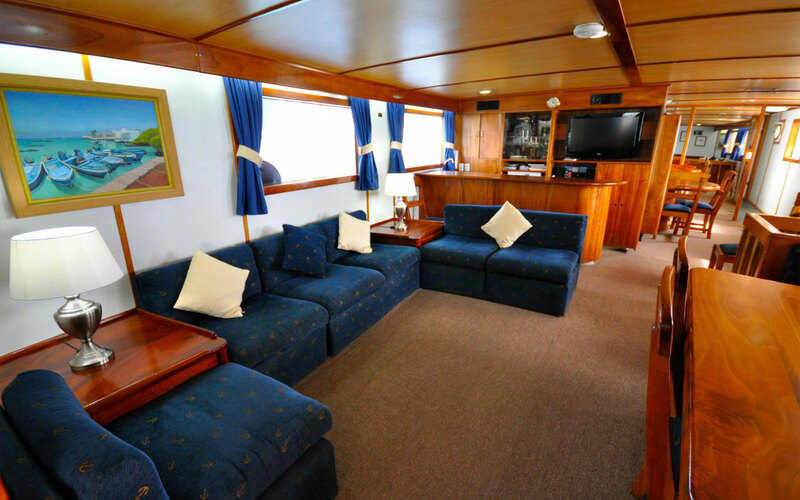 Beluga is fully air conditioned, has spacious social areas with all the comforts and facilities of a superior first class motor yacht ; offers ample dining area and salon for lectures, spacious sun deck, TV, VCR and stereo. 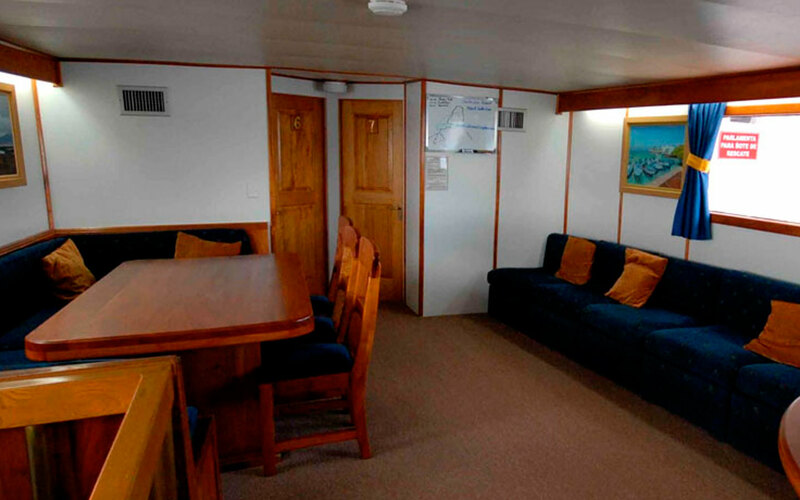 Snorkeling equipment on board. 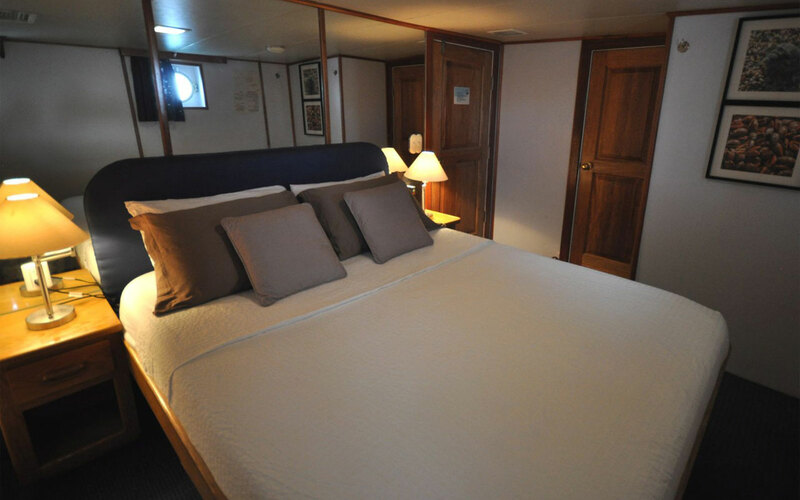 Accommodation: 8 twin bed cabins on main deck and 2 suites on the upper deck. 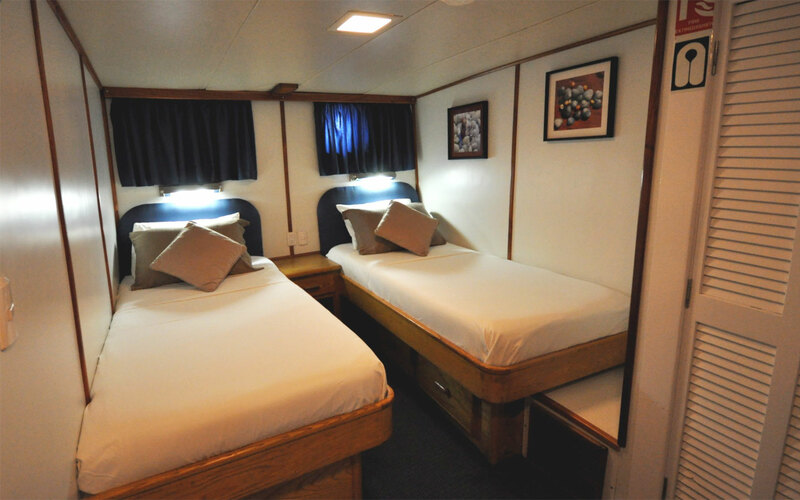 Single Supplement: 50% increase over sharing accommodation rate. 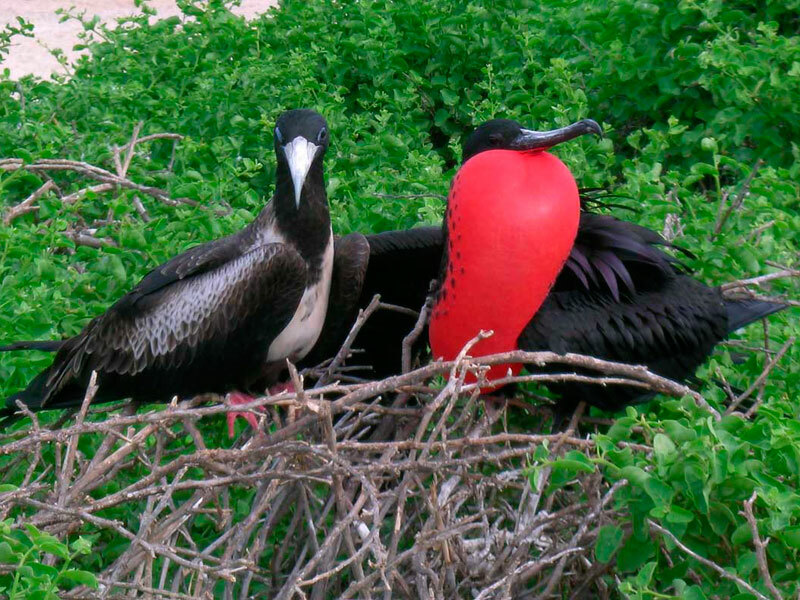 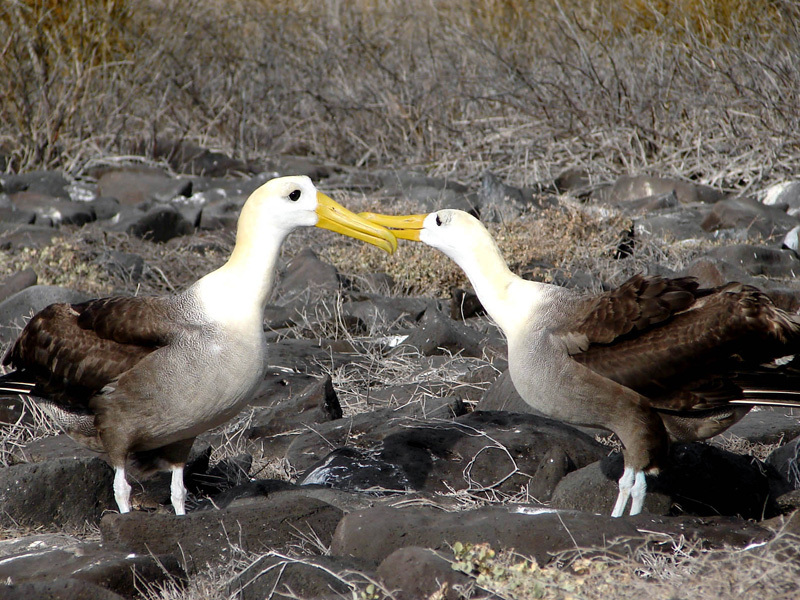 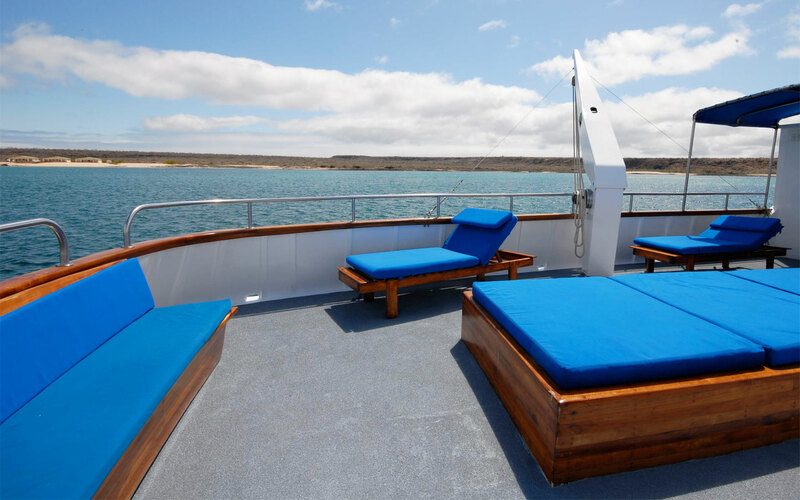 Important remark: it is mandatory to book the Galapagos round trip flight along with the cruise. 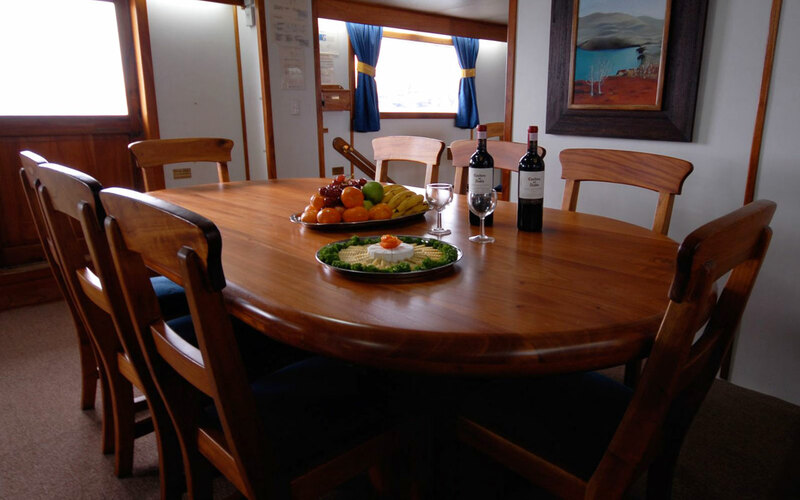 if it is booked separately a charge of US$ 50 per person will be added to your payment invoice due to the boat-booking policies. 50% discont over published rate for children inder twelve years old (one child per adult). This discount is not applicaple over Christmas and New Years departures.